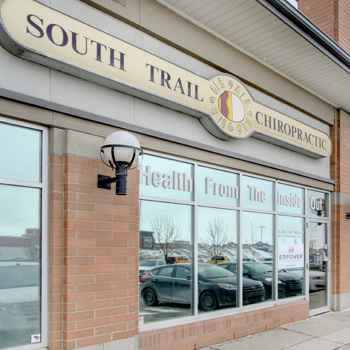 Welcome to the practice of South Trail Chiropractic! We offer a causal and caring environment, far different from the sterile atmosphere seen in many doctors’ offices. We’re thrilled that you’re considering care with our team. 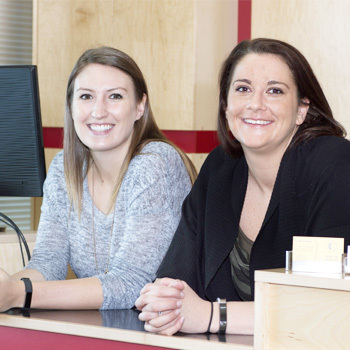 Our New Practice Member process typically consists of two visits. You can expect your first visit to last 60 minutes. After a tour of the office, you will have a consultation with SE Calgary chiropractor Dr. Jeff, including a review of your health history, a nerve scan, and exams of your spine and posture. If needed, X-rays will be taken during the first visit, in a facility conveniently located across the street from South Trail Chiropractic. An adjustment is usually not given during the first visit, but one may be given depending on your individual circumstances and current level of pain or discomfort. In your second visit, Dr. Jeff will review the results of the tests that were conducted during your first visit. Consistent with his focus on your long-term health and wellness, Dr. Jeff will explain what needs to be done to correct your spine, not just to treat whatever specific symptoms you might be experiencing. A care plan will also be developed during this visit. As the review and discussion is very thorough and in-depth, you should plan on spending about 90 minutes in the office. This second visit typically includes your first adjustment. The immediate goal of many people who visit South Trail Chiropractic is to free themselves from pain. This goal can often be achieved by regular adjustments over the course of a few weeks, but that doesn’t mean that the spine has been fully corrected. Full correction of the spine generally takes from 6 to 12 months. Long-term care plans are designed to make sure that the spine is fully corrected, so that it can protect the nervous system in the most optimal way possible. The vast majority of our practice members have found that being on a long-term care plan is their best path to true health and wellness.